Converging or Centrifuging: Is global health coming together or spinning apart? As the world resets its health and development agenda for the post Millenium Development Goals (MDG) 2015 agenda, lofty and ambitious goals for further alleviation of poverty, increasing equity and a global convergence of health status are proposed. Great challenges remain, however, that could constrain the global community’s ability to continue along the path of progress. Jonathon Simon’s talk will highlight progress to date as the global health and development community has sought to attain the MDGs and will raise a series of threats to further success. The talk will close with an argument of the special role North American research universities should play to facilitate continued success. Jonathon Simon, MPH, DSc, director of the Center for Global Health & Development (CGHD) at Boston University, leads the center’s scientific and strategic efforts. 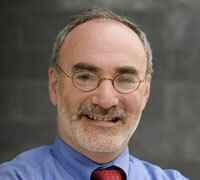 He is also the Robert A. Knox Professor at Boston University School of Public Health.